Juice cleansers are a rage these days. But, does it help in weight loss? My answer is yes!! It does. One of the golden rules to follow is to get two servings of fruits and vegetables in our diet every day. Now, this seems to be hard for some people, especially those who are looking to lose weight because most juices/fruit contain sugar. 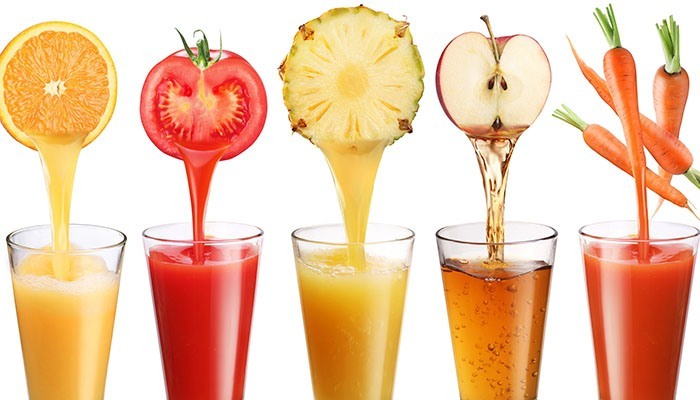 However, one can get numerous micronutrients and lose weight quickly if they have the following juices that are super rich in nutritive content but, contain very less sugar. Below are some recipes I think can help you in your journey to lose weight. I firmly believe that greens are more useful than fruits but, I have included a wide variety of smoothies and juices to help you out. -This smoothie is excellent for detox as it flushes out all toxins from your body and contains antioxidants from the basil to make this one of the effective vegetable juices for fat loss. -Peel beetroots and chop the carrots. Add strawberries to the veggies and blend it in a blender. Add 1/4th cup of water. Add water and/or ice in order to make the smoothie thicker or thinner based on your preference. -Beetroot juice will help you work out harder in the gym and this is one of the fruit juices for fat loss that contain a high amount of soluble and insoluble fiber that assists in weight loss. 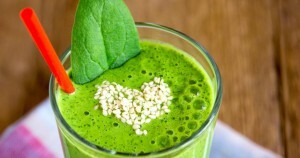 -Wash mint and kale leaves and put in blender. Chop the watermelon, remove the seeds and place in blender. Add 1/4th cup of water and mix well. 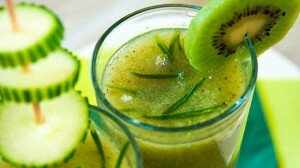 Add water and/or ice in order to make the smoothie thicker or thinner based on your preference. 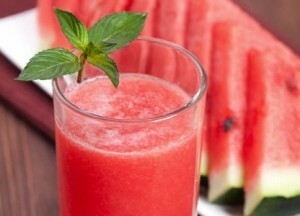 Watermelon by their nature are mainly water and sugar, thus making them a low calorie, weight loss assistant. This is a handy juice recipe for weight loss because of the mint leaves. Mint leaves are a natural appetite suppressant. So forget your hunger pangs after having one of these smoothies! The key ingredient to this as you may have noticed is the apple. Not only is it a fantastic sweetner, but it is also a fantastic source of antioxidants and minerals. In my opinion this is the best juice recipe for fat loss because it contains the minerals and micronutrients from spinach and apples but also assists in weight loss due to the lemons. 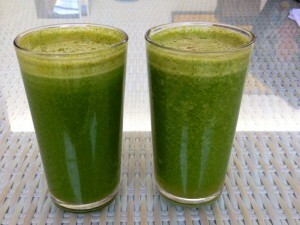 -This recipe is the best juice recipe to get rid of belly fat because it is high in water and low in sodium. Low sodium juices reduce the overall bloating of the body and because this juice is lower than 50 calories, it is a fantastic way to satiate your hunger and be in a caloric deficit. A must try option for effective weight loss. Hira Junaid, a Masters in nutrition and dietetics has had the experience of working with a reputed hospital handling critical care patients’ diabetes control, kidney and lung patients’ prior to becoming a lifestyle coach at GOQii. Her specialization lies in Clinical Nutrition, Therapeutic diets, Diabetes Management, Weight Management, Renal nutrition, Pre and Post Pregnancy Nutrition. She believes that focusing on the lifestyle brings a healthy permanent change rather than following unrealistic dieting. She spends most of her time coaching individuals and consulting on strategy and innovation. Her mantra for fitness and healthy life is “don't start a diet that has an expiration date, focus on the lifestyle that lasts forever”. great recipes. 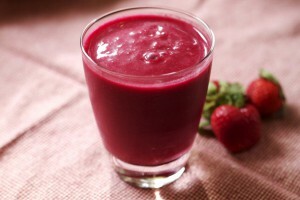 would you be able to share some good smoothie recipes for a 14 year old sports – tennis palyer who palys 3-4 hours/ day. thanks. Thanks for the feedback anupa..
Will definitely share some super energetic smoothie recipes with you ? Thanks for colorful Juice recipes. However curious to know the best time to take Juices. we should avoid having fruit juices in evening or after sun set and also along with major meals. Rest we can take it any time…it’s great to go?